The Chinese Water Ski Association looks forward to welcoming all Federations to the World Championships 2005 on Dongli Lake, Tianjin, China. Tianjin is a city with a population10 million people, located 100km southeast of Beijing. 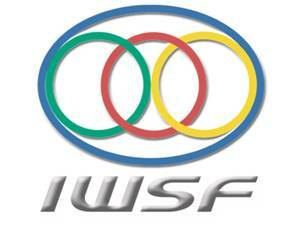 The site is the same one for the 2002 IWSF World University Championships. The Official Towboat of the 2005 World Water Ski Championships is Ski Nautique. According to IWSF and WADA Rules. The nearest airport is Tianjin, but most international flights will fly to Beijing. Transport from both airports to the official hotel will be provided free of charge, by the Organizing Committee. If the necessary personal information is provided, the Organizing Committee will issue official visa invitations to all participants, officials, delegates and guests. They may apply for visas with the invitation at the Chinese Embassy or Consulate in their country. The competition lake will be available for paid training from July 15 to August 10 . Information about training fee will be in Bulletin No.2. The Organizing Committee will organize official practice on August 14 and 15. The IWSF tournament Council will arrange practice time for each team. Practice fee: 5USD/5mins/person. The entry fee per skier is $ 100.00 and must be paid in cash at the accreditation. The following hotels could be chosen. 2) Hotel reservations are expected to send to the Organizing Committee together with application forms, 20% deposit for reservation before June 30th, 2005. The account information will be provided in Bulletin 2. - Entry for closing Banquet for team members. All teams and officials are invited to the final night banquet. Tickets will be on sale during the event for guests and other interested persons. Prices for the tickets of the Final Night Banquet will be communicated with Bulletin Number 2. The enclosed “Intention to Enter” form must be sent to the Chairman of the World Tournament Council, Mr. Bob Corson and to the Chinese Water Ski Association before June 15, 2005. Each Federation shall certify to the Chairman of the Tournament Council and to the organizing committee, not later than 60 days before the scheduled start of the first event of the World Championships, its intent to compete. Any Federation not meeting this requirement will not be allowed to compete until they pay a fine of 200 Swiss Francs to the IWSF. The official entry forms for teams and individuals will be sent with Bulletin 2. All accreditation forms will be sent out to Federations and persons concerned in due time. Temperatures will be between 25C and 30C. The Organizing Committee will arrange with a travel agency a sightseeing program in Beijing (Great Wall, the Forbidden City, the Summer Palace, etc..) on Monday and Tuesday after the championships. Further information will be available in Bulletin No.2.